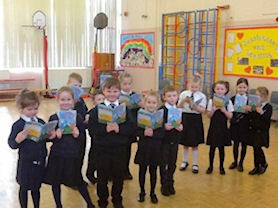 On Monday 11th March Reception, Year 1 and Year 2 were very lucky to have a real life author come to visit them. His name was Grant Koper and he came to share his brilliant new book with us. Grant read our children the story. He asked the children what their favourite part of the story was. Our children asked Grant some questions about what it was like to be an author and who their favourite authors were. 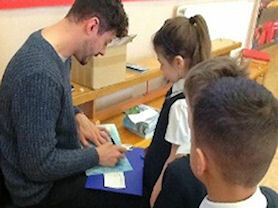 Grant spoke with the children about editing their work to improve it and make it better. 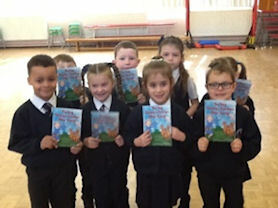 He has asked the children to write a story and for school to send it to him. Then he will choose some of them and read them on YouTube. If you would like to write a story and for us to send it to Grant then get those writing pencils ready! If you would like a copy of the book you can order it from Grant’s website (external link).